As a background, Bain Capital, an equity fund that was founded Mitt Romney (take that in whatever way you want), bought Guitar Center for 2.1 Billion dollars. Why people who own Burger King, Domino’s Pizza, Toys R Us, and Sealy mattresses (among a few other HUGE names in their specific markets) have anything to do with guitars is beyond me. As guitar sales plummet, some of the biggest guitar brands and retailers are facing bankruptcy. The latest is Guitar Center, which narrowly averted default and just got downgraded by S&P. Rock n’ roll may never die. But that’s little consolation to businesses based on the once-unstoppable genre and its storied instrument, the guitar. Earlier this year, creditors and analysts pointed to a deteriorating financial crisis at Gibson Guitar, with a bankruptcy anticipated as early as this summer. Now, you can add Guitar Center to the watch list. Just this week, leading rating agency S&P downgraded Guitar Center to a ‘CCC—’, indicating serious risk of bankruptcy. Guitar Center, Inc. is the largest instrument retailer in the United States with nearly 280 locations. The retailer actually got started as ‘Organ Center’ back in 1959, but eventually shifted to ‘Guitar Center’ in the 70s. That was an obviously smarter choice, with the guitar dominating the instrument landscape for nearly 40 years afterward. Earlier this month, Moody’s warned investors of an expected default with bondholders. But Guitar Center narrowly averted that classification with an emergency loan renegotiation involving debt surpassing $615 million. Accordingly, early this morning (April 17th), Moody’s noted that it did not consider Guitar Center to be in default. Instead, the rating agency upgraded the retailer slightly to indicate solvency. 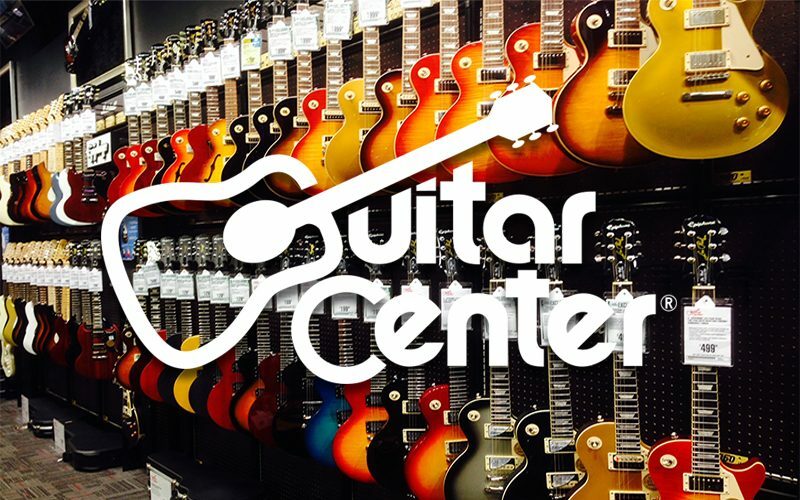 “All of today’s rating actions are in response to the closing of an exchange offer that was announced by Guitar Center this past March,” wrote Keith Foley, a Senior Vice President at Moody’s. But Moody’s reiterated that this was still a troubling situation. “The rating outlook remains negative,” the agency stated. In total, Guitar Center is juggling more than $1 billion in outstanding loans. In its rating downgrade, S&P indicated that Guitar Center was ‘vulnerable’ to a bankruptcy filing or credit default. Any shock to the system, including an economic downturn, could plunge the retailer into a crisis. That ‘shock’ could also include a sharper nosedive in guitar sales, already an instrument under duress. According to the Washington Post, annual guitar sales slipped from 1.5 million to 1 million leading up to 2017, suggesting that annual sales are currently below the million-mark.